Just trying to look cool. December 21st marks the first official day of winter, but here in the Black Hills, we’ve already had a few bouts of winter weather. That’s right, I’ve already pulled a wool hat on my head and wielded my snow shovel against the elements. Although autumn still reigns, now is a good time to begin preparations for our cold weather adventures, including assembling our winter wear. Every season presents challenges for adventures. Winter brings below zero temperatures, snow, ice, and wind chill. Hypothermia and frostbite present serious risks, so proper preparation is critical. The right cold-weather gear can work wonders, not only when it comes to avoiding danger, but also when it comes to comfort and enjoyment. Here are a few recommendations for winter wear that I have found helpful in my cold weather adventures. Wool and synthetics are good, cotton is bad. There’s an exception to every rule, and these are no different, but for the most part you can’t go wrong with a few layers of wool and synthetics. Build your winter wear around those and you’ll be good to go. Let’s get started with base layers. The purpose of base layers is to pull moisture away from the body, and add the first level of insulation. When shopping for base layers, it’s important to find something lightweight, breathable, moisture wicking, and snug fitting since you’ll wear additional layers on top. Keep in mind that snug doesn’t mean tight; you’ll want freedom of movement. If you’re looking for the best potential fabric, merino wool is likely the way to go. 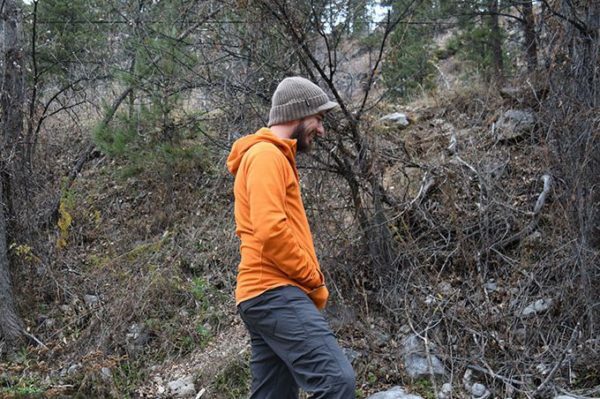 There are tons of options available, but to strike the right balance between quality, effectiveness, and expense, I recommend LAPASA 100% Merino Wool Lightweight Base Layer. Sitting at around $77, you’ll stay warm without breaking the bank. Nobody wants to see me in just base layers. Here’s a different picture. But if you’re like me, $77 is still a lot of cash. For a more budget friendly base layer, check out 32 Degrees Baselayer Top and Baselayer Leggings. The synthetic fabric blend retains warmth and wicks moisture incredibly well. They’re pretty comfortable and quite durable (I wear them a lot in the winter). Each piece is about $12, so for $24 you’ll get a comfortable, effective, and inexpensive base layer. Synthetic fabrics build up odor more quickly than wool, but washing them with WIN or a vinegar solution will take care of that. During extreme cold, I will often use a thicker pair of Expedition leggings from Coldpruf that cost under $20. They provide more warmth, while still offering a level of moisture-wicking. That said, be careful when wearing a thicker base layer; increased activity can cause excess sweating, and it’s no fun to sit around in wet leggings! On top of your base layer, you’ll add a mid layer for more insulation. This layer keeps you warm through trapped air, so avoid anything too tight. There are a number of mid layer options available. I’m always experimenting with different clothes and have found a number of options that I think work very well. If you’ve followed the blog for any length of time, you know how much I love Cotopaxi, their commitment to alleviating poverty, and their innovative use of materials. I’ve never gotten anything from Cotopaxi that I didn’t love, and the Sambaya Fleece is no different. The Sambaya Fleece is an excellent addition to your outdoor kit, or just for bumming around town. I’m sporting an older model, but the newer version is just as warm, cozy, and durable. The newer version has only improved using Polartec Power Stretch Pro fabric for improved mobility and breathability without sacrificing any of the insulation. Thumb holes keep the sleeves where they’re supposed to be, so they won’t bunch up under your coat. Overall, this fleece is super comfortable, and I’ve worn it in all kinds of conditions. The scuba style hood stays snug to your head, especially when you wear a beanie underneath. I’m not a huge fan of hoods in general; maybe it’s because I’ve got a small head and no hair, but so often they seem to catch the wind as opposed to protecting my head from the elements. The Sambaya’s hood, however, is a more form-fitting scuba style hood. It stays snug to your noggin and keeps you plenty warm. 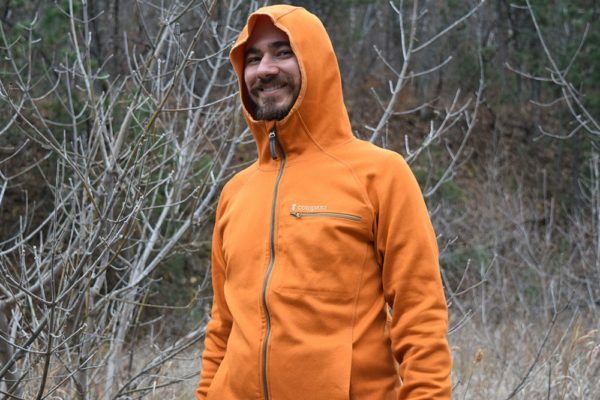 But Cotopaxi does offer a hood-free version of the Sambaya now, if you’d prefer to go hoodless. The Sambaya with a hood will run $140, while the fleece sans hood goes for $120. Another mid layer that I love is the Wool Bering Shirt from Woolrich. 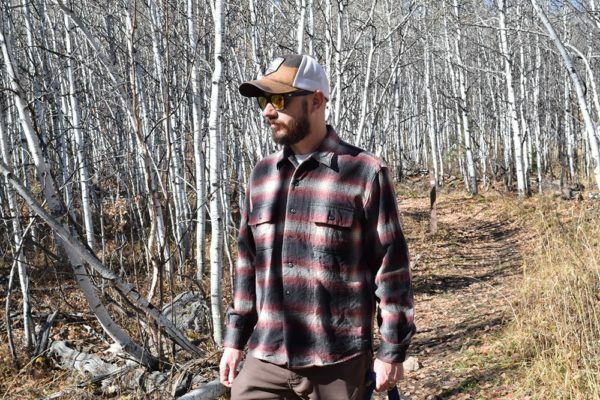 The inexpensive flannel shirts that we all know and love are great in day to day conditions. These are typically made of inexpensive cotton, and they’ll fail us in more extreme winter conditions. Woolrich’s Wool Flannels don’t have that problem. The Bering Shirt is an excellent insulator; it will keep you nice and toasty with a relaxed comfortable fit. This has become one of my favorite pieces of winter wear. Woolrich’s Bering Shirt is one of the best purchases I’ve made! 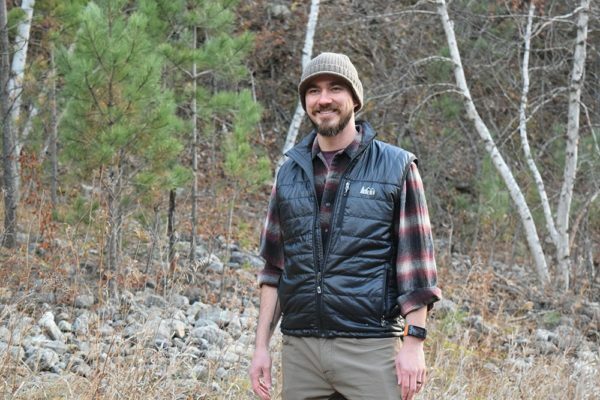 Woolrich doesn’t make the pattern I’m wearing anymore, but the other plaids boast the same great insulation. The Bering Shirt costs $125, but is worth every penny. Keep in mind that wool can shrink a little, and if you’re going to layer, you may want to buy a size up. If the Bering Shirt is a little too costly at the moment, keep your eye on their website; they have sales on a pretty regular basis, and I bought mine during a pretty great holiday sale a couple of years ago. You can add an extra layer to the Bering with a puffy vest. This is one I picked up at an REI Garage Sale. While you wait for that sale, you could check out a less expensive option, like Wrangler’s Sherpa or Quilted Lined Flannel. This is one of the few exceptions to that rule about cotton, although it comes with a few caveats. 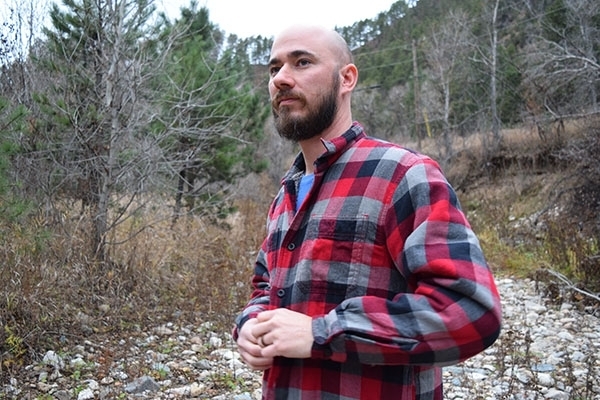 These Wrangler shirts are a good layering option for day hikes. First, understand that the interior lining is polyester, which is great, but the exterior is cotton. That means that you need to avoid getting it wet, whether by rain, snow, or sweat. If you’re wearing this shirt, stay covered in precipitation, but remove a layer if you start sweating. This isn’t a perfect piece of gear, but it’s a nice inexpensive piece to add to your kit. Since this shirt is primarily cotton, it’s not the perfect piece of winter wear. I wouldn’t recommend it for more than day-hikes, car-camping trips, or outings in or near town. It insulates well, and I think it’s super comfy, but it isn’t technical gear by any stretch of the imagination. 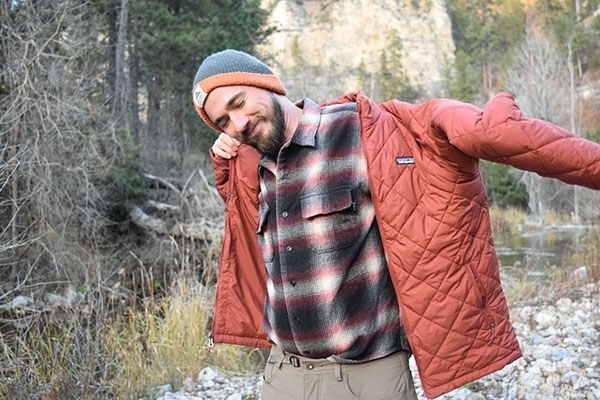 If you’re on a budget though, the Wrangler Insulated Flannel comes in at under $25, which makes it an inexpensive option for a number of activities. Don’t forget, any synthetic or wool sweater is an excellent mid layer for your winter wear getup as well. That means that a cheap old sweater that you already own or you pick up at a thrift shop can keep help keep you safe and dry on a winter adventure. 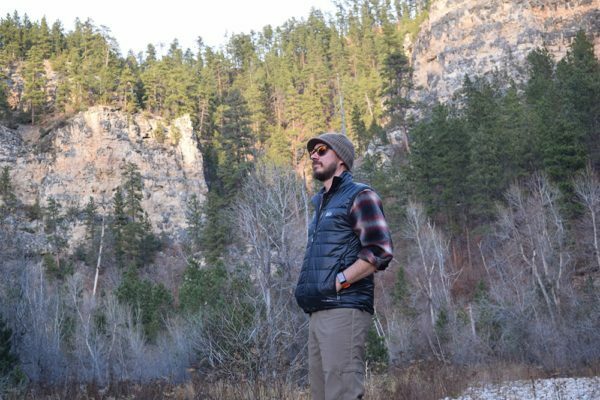 I have loved prAna’s Zion hiking pants for some time now, and since moving to Spearfish, I have worn the Winter Zion pants every time the temperature has dropped below thirty. They’re fantastic pants; very warm and comfortable! I love these Winter Zions! They’re the perfect winter pants! Made of ventilated dobby fabric, these pants are breathable and incredibly comfy. The insulation is soft, and surprisingly light for as much warmth as they capture. The fabric’s texture makes these pants very durable; they’ve held up to my abuse very well, and I’m not gentle on anything I own. 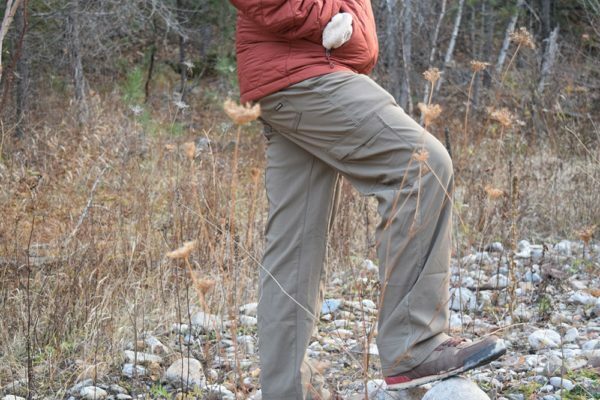 These pants do repel moisture but they aren’t entirely waterproof. When they do take on water, the blend of nylon, spandex, and polyester dries quickly and the insulation works even when wet. These pants come in right at $100, but they’re worth every penny. 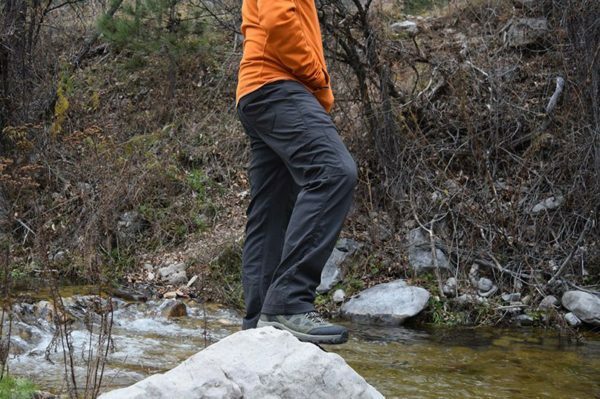 You can get the Winter Zions in a couple of different colors, but they’re all fantastic. They run a little snug in the waist, so I suggest buying a size up. Aside from that, I love the Winter Zions! In extreme cold or during heavy snows, you may want to consider snow pants or bibs. Though I don’t use these often, it’s good to have a pair ready to go when you need them. The best pair I’ve ever worn is The North Face Freedom Bib Snow Pants. They are a bit pricey at $200, but they will keep you warm and dry no matter how much snow is on the ground. Columbia also makes a great pair of snow pants. Their Haskill Mountain Bibs are available on Amazon, and sizes small through large are about $100. X-Large and larger are more expensive. I haven’t worn these myself, but one of my friends in the forest service swears by them. If you’re on a budget, Arctix Men’s Essential Bib Overalls are a solid buy. 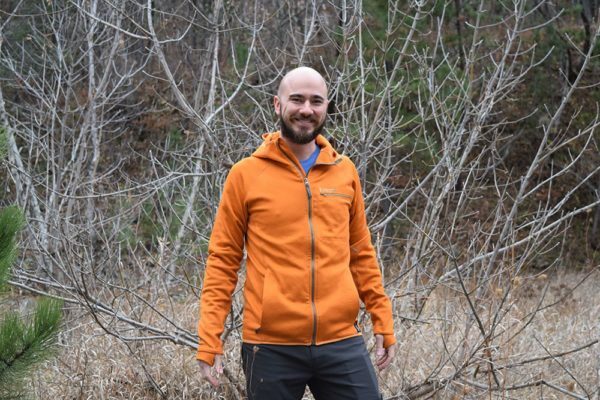 They don’t have quite the same level of insulation as the Columbia or North Face bibs, but adequately layered, these will keep you warm and dry for under $40. The outer layer of winter wear protects you from wind and water. What sort of protection you need varies depending on your activity and the weather. 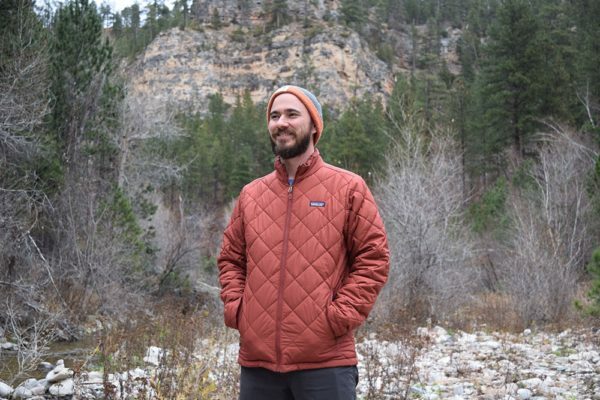 There are a lot of variables involved in that determination, which is why I like Patagonia’s 3-in-1 coats. 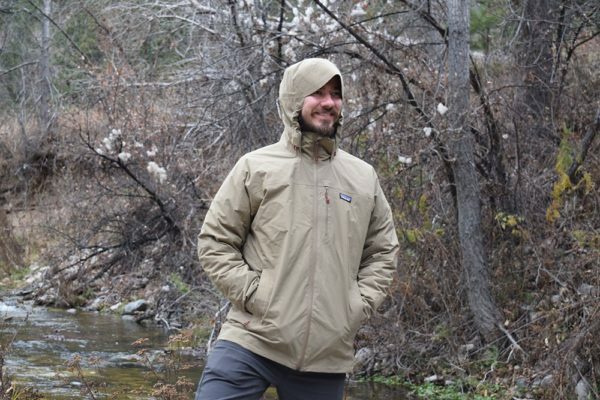 The Patagonia 3-in-1 system allows you to wear the 2-layer shell as a waterproof but breathable outer layer. You’re safe from snow and rain, but the mesh lining allows moisture from your body to dissipate. 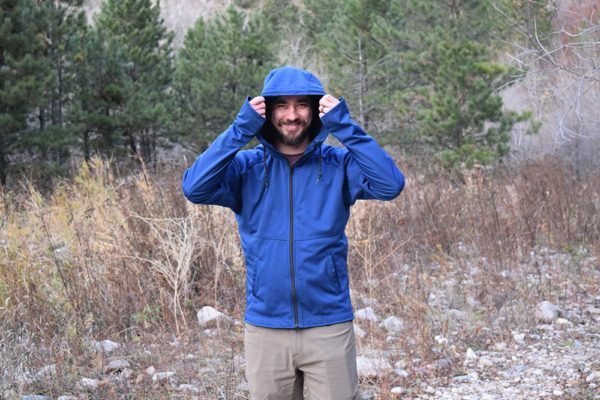 The shell to my Patagonia 3-in-1 is actually one of the best rain shells Ive ever used. You can also wear the quilted liner as a jacket for insulated warmth. As with a lot of things, I’m wearing an older model, but the updated versions have even better insulation and improved breathability. Currently you can select from two different 3-in-1 systems from Patagonia. The Snowshot is designed for winter sports like snowboarding and a skiing, and uses synthetic insulation which keeps you warm even when wet. You could also check out the Tres, which uses down insulation; this option is slightly warmer and lighter, but isn’t itself waterproof. The quilted inner jacket is toasty and warm. 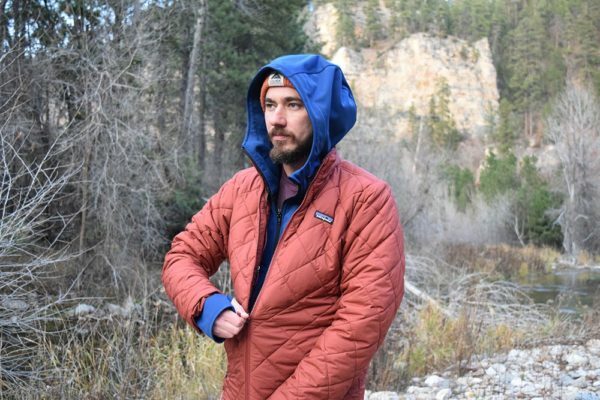 Mine is synthetic, but Patagonia now offers a 100% Traceable down version, the Tres. The waterproofing of the down liner shouldn’t be a deal-breaker though, since you can wear both the quilted liner and the shell as an integrated system, incorporating both the insulation of the liner, and the breathable waterproofing of the shell. Hence the 3-in-1. Here’s the outer shell and the inner jacket. Note, the two do connect and zip together to be worn as one piece. The 3-in-1 is an excellent addition to a cold weather layering system. The synthetic option, the Snowshot, costs $400. The down option, the Tres, is a bit more expensive at $549. Those are costly options; keep your eyes peeled for holiday sales. You can score some good deals from REI or Patagonia directly. My 3-in-1 has become one of the most dependable pieces of winter wear in my kit; if you find a good sale on one, jump on it! Mountain Warehouse also makes a 3-in-1 that also features a waterproof breathable membrane and a synthetic inner layer. Coming in at around $110, the Mountain Warehouse Bracken 3-in-1 boasts some of the same great features at a more affordable price. You won’t get the same kind of warmth from this system as you would the Patagonia 3-in-1 coats, but for its price point it’s a good buy. 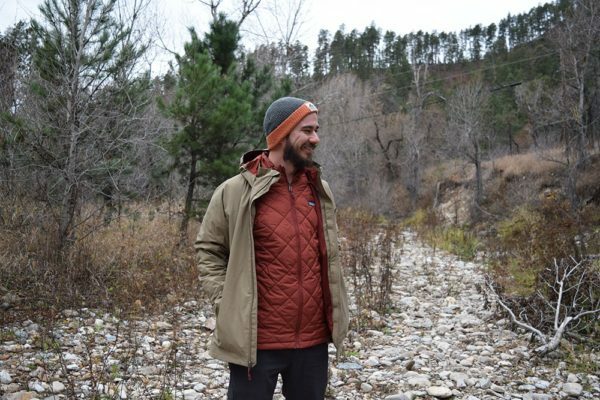 If you’ve already got a coat and just need a weatherproof shell, Columbia’s Glennaker Lake Rain Jacket works great as an outer layer, and only costs around $40. It’s lightweight, breathable, and does an excellent job keeping you dry. For cold weather athletics, I wear a Yesler Technical Hoodie. It holds more warmth than my outer shells, though not as much as the Sambaya or the Bering. It’s just as breathable as my shells, though not quite as water repellent. Yesler’s Technical Hoodie is my go-to whenever I go for a cold weather run. Whenever I take a cold weather run, I pull on the Yesler. It’s pricey on Yesler’s website – $200 is a lot for a hoodie. But Amazon almost always has them a little cheaper; as of right now, you can snag a black one for $79! That’s a pretty awesome deal. The Yesler hoodie also works well as a slim mid layer if you need one. Since it’s more form-fitting, you can wear a second mid-layer over it in extreme cold if necessary. What else do you need when it comes to winter wear? If you’re going to be outside for any length of time, you need gloves. The options are endless, but since I frequently shoot photos and videos while I’m out in the cold, I really like convertible mittens. I’m a big fan of these convertible gloves by Metog. Just pull back the mitten part to expose the fingerless gloves underneath. This pair by Metog, made of a poly-wool blend with a fleece lining is both effective and inexpensive. 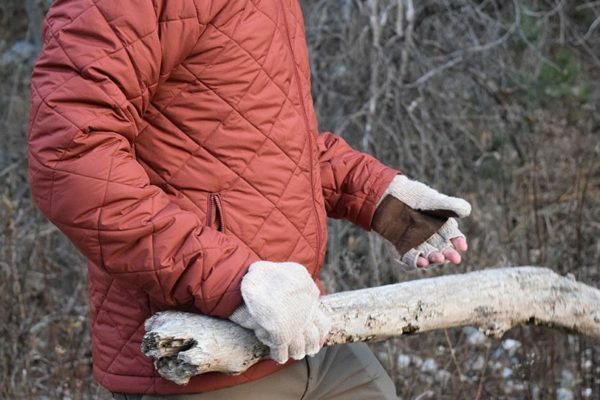 In more extreme weather, you may want something more robust; seldom have I needed more than those convertible mittens, but I surveyed some friends that work in the outdoors in various capacities, and got a few recommendations for these Smartwool Ridgeway Gloves. At $80, don’t buy them unless you really need them, and make sure that you keep that leather oiled (to maintain a degree of water-resistance). Otherwise, grab some of those Metog convertibles. The old adage that we lose 50% of our body heat through our heads is a myth, but you still want to make sure that you’re keeping your noggin covered (especially if you’re bald, like me). There are few improvements over the traditional stocking cap or toque. You can generally pick up a synthetic or wool one at any big box store. If you have a favorite gear brand, I bet they make one. Cotopaxi makes three. You can actually lose more heat from your neck than your head; there are lots of blood vessels close to the surface. When it gets really cold, and you’re outside for long periods of time, pull on a scarf to keep that heat in! Seriously, don’t underestimate the body heat you can lose if you don’t wear one. Again, make sure you’re buying synthetic or wool, and don’t be afraid to take it off if you start getting too hot. Get yourself some wool socks; there are tons of options out there. If you’re on a budget, you can always find some cheap wool socks at the big box stores. Last time I was in a Costco, I bought a pack of six for less than ten bucks. 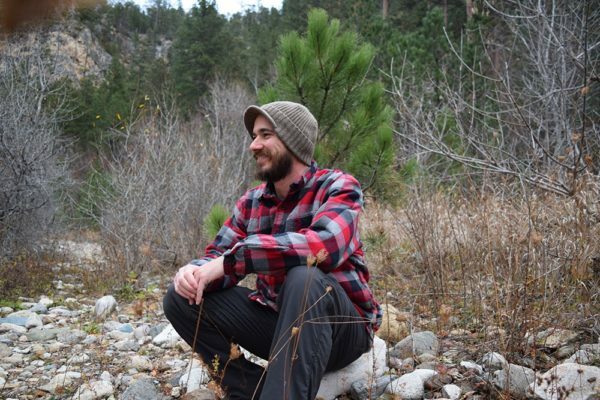 Of course, a pair of tightly woven hiking socks from a brand like Smartwool or Darn Tough will be more effective, but you can definitely get by with the less expensive wool options. My feet are always cold, but oddly enough, still get sweaty when I’m out hiking. For that reason, I almost always wear these Thermasilk sock liners during winter outings. Pairing these with wool socks keeps my feet warm, dry, and blister free. That’s my Winter Wear kit! The whole point of layers is that we can take them off and put them on to control our body temperature. It’s just as important to avoid sweating as it is to stay warm. Sometimes it’s annoying to stop and strip a layer off, or put one back on, but if you’re going to be outside for any length of time, it’s worth it. By properly maintaining a steady temperature, avoiding sweating, and staying dry, you’ll be much more comfortable during your outdoor experience. Put it on, take it off, put it back on… That’s how we use layering! My layers are ready for winter adventure, and so am I. Don’t let the winter weather keep you trapped inside; instead, prepare for the elements and stay intrepid all year long. Pick your adventure, layer on your winter gear, put on your favorite sunglasses (snow glare is rough! ), and get after it. This is a pretty decent review of winter wear that I own, have used, or have gotten recommendations for from individuals I trust. Of course, there is a lot more excellent gear out there, in all price ranges, with which you may have positive experiences. If you have a favorite piece of winter wear that you love, let me know if the comments so I can check it out!